After a three-year hiatus from formal portfolio management duties, Frank Jasper, has replaced Mark Brighouse as Fisher Funds chief investment officer (CIO). Under the top-level change implemented post the firm’s recent TSB-led buy-out, Brighouse has been named Fisher chief investment strategist, with tactical asset allocation and risk management responsibilities across the group’s diversified portfolios. Prior to taking on the CIO role, Jasper was Fisher director (and minority shareholder) filling a roving strategic mandate in the $7 billion plus funds management firm since stepping down as head of Australian equities in 2014. “Now I’ll be focused purely on investments,” he said, with oversight of the “two quite distinct” elements of the Fisher approach comprising “pure stock-picking” and managing diversified funds. Jasper said Brighouse’s newly-established chief investment strategist position reflected the increasing importance of managing risk and “other sources of value-add” within the Fisher diversified portfolios, which principally back the firm’s two KiwiSaver schemes. He said Brighouse would focus on strategies such as tactical asset allocation within the diversified portfolios along with other risk management techniques. “You have to squeeze every last dollar out of the risks you take in the diversified portfolios,” Jasper said. Brighouse, who joined Fisher from Brook Asset Management in 2011, will work closely with quant analyst, Vinko Marinovic, on the risk management side. Fisher now boasts an investment team of 22 including portfolio managers Manuel Greenland (Australian shares), David McLeish (fixed interest), Ashley Gardyne (global shares) and Sam Dickie (NZ equities, property and infrastructure). 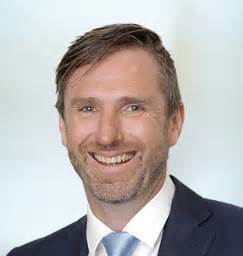 Following the TSB-led purchase of the remaining 51 per cent of Fisher shares (with US private equity firm TA Associates initially taking about 25 per cent) early last month, Jasper resigned as director on August 25 along with fellow board members Hugh Fisher and Liberato Petagna. Hong Kong-based Edward Sippel, co-head of TA Associates Asia-Pacific business, was appointed to the Fisher board on the same day joining incumbents Margaret Blackburn, David Clarke, Carmel Fisher, Jonathan McHardy and Sir John Wells.